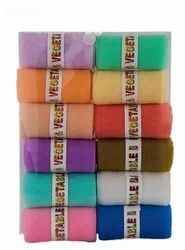 AS Trading & Travels - Wholesaler of freezer zipper net bags reusable plastic vegetable organizer (multicolour) - pack of, erd pc-22 universal micro-usb data cable (white) & samsung earphones in Thane, Maharashtra. Our bags are not only for produce, but also great for grocery shopping, camping, fishing, garden harvest, beach and travel, storing toys, craft, small laundry items, small sports equipment, other supplies. 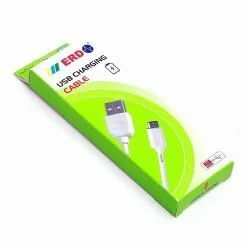 USB to Micro USB Cable Length: 39 Inch/ 1 Meter. Current Rating: 2Amp. 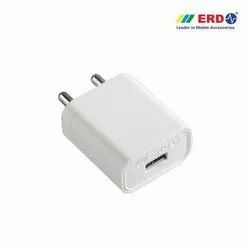 (Max) Compatibility: Compatible with All Micro-USB Supported Devices Like: Mobile Phones, Digital Cameras. Enjoy feet tapping music with this pair of Samsung wired earphones. Whether you are travelling in the bus or working at office, keep yourself entertained by listening to your favourite tunes in high-quality with this headset. Wired These wired, in-the-ear earphones not only offer a secure fit but also offer a long-lasting comfort. In Line Remote This pair of earphones comes with an inline remote which offers better control - you can pause and play music without having to fidget with your phone. Make calls or listen to music with this Genuine STARKWOOOD Hands Free Kit. The practical answer/end button makes it easy to manage calls and you can listen to tunes on the music player on your compatible mobile device. Cosmetic storage box is made of high quality plastic and has multiple uses.Desktop drawer storage box drawer sundries case small objects cosmetics box organizer type:organizer material: pp used for: makeup, cosmetic, jewelry,accessories,lipstick style: fashion, simple design feature: durable, can be washed.package:1 pcs organizer.You can use it to storage your makeup things, can be greatly ensured. With drawer design, very multifunctional. 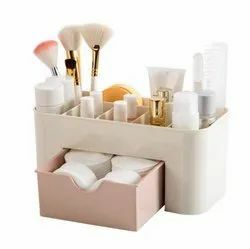 Ideal for keeping your makeup brushes. High-capacity, you can put your makeup things in it. Specifications Input Voltage : 110-240V AC-50-60 Hz Out Put Voltage : 5VDC- 2Amp. Your potato chips and bread can not be all eaten after opening, and long-term storage of coffee, nuts and cereals is prone to moisture and mildew. Try these sealing clips without having to buy extra jars. Simply clip to block moisture and dust. Product Features: High quality: sealing clips are made of high quality thick plastic, non-toxic and odorless, safe to use. 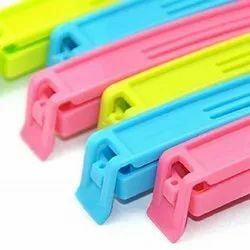 Complete size: Colorful sealing clips, suitable for a variety of daily needs. Can seal bread, nuts, cereals, snacks, coffee, frozen foods and other foods. Safe: Bag clips can be safely used in refrigerators and dishwashers, sturdy and reusable.
" 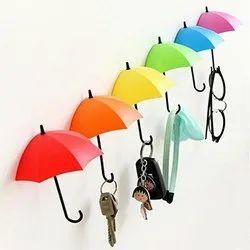 The umbrella shape wall hooks adhesive directly to the wall, leaving no trace in the wall, it not only can be a hook, but also storage. This is a product designed emotionally . It has two function that 'hanging up' and 'putting on' for some of your belongings . Stuff in your pocket, looking for spot projects.Cool series The project of right place for stuffs in my pocket this is a product designed emotionally it has two functions that 'hanging up' and 'putting on' for some of your belongings great appealing looks must have decorative piece add in all your rooms, kitchen and bathroom."